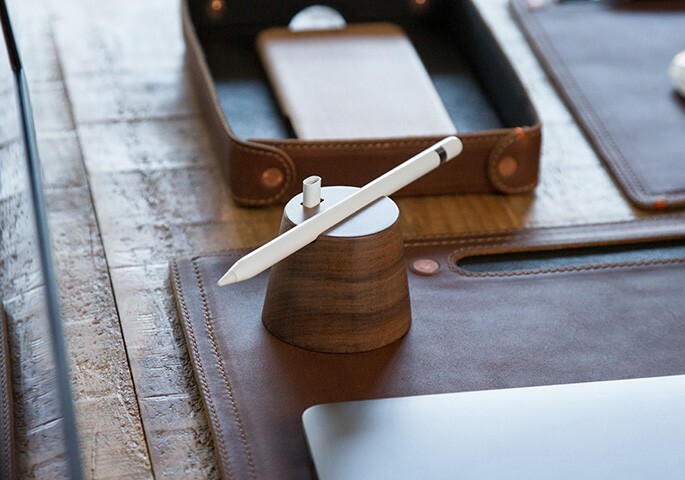 Pad & Quill launched a new line of leather and wood desk accessories aimed at Apple users. This includes a leather desk pad ($174.95), a leather mouse pad ($49.95), and a Wooden Apple Pencil Holder ($39.95). I like Pad & Quill’s products, and I definitely like leather and wood. This product line jumped out at me—now if I could only have a desk that was neat and tidy enough for such things. Everything is discounted for the introduction at the above-mentioned prices, and there are other products in the series, too.